The soundtrack to the picnic we imagined having whilst we were listening to these tunes at Gobe HQ this week. Covering all bases from your kitchen to the car to paradise on a patch of grass somewhere. Buy as many bottles of park wine as your budget allows and as many snacks as you can fit in whatever non-plastic vessel you can muster. F.J. McMahon and Relatively Clean Rivers will accompany you through the kitchen preparation whirlwind, you’ll probably forget something, but that’s okay. Jonathan Wilson slides his magical wizard fingers across his guitar as you’re sticking your head out the window, hurtling towards your chosen patch of paradise. Thanks Jonathan, thanks driver. The Flaming Groovies land you square in paradise, storytellers will say the Groovies shared some smoke with Ted Kennedy a show in California some time ago, fun. The Slits, Sun City Girls and CANNIBALE will warm you up for some Chuck Berry Monkey, you’re full of Vitamin D and delicious snacks now, life is good and Chuck Berry just came to your picnic. The very instant Juca Chaves starts proclaiming to long lost for Piaui you should start dancing. I knew nothing of Piaui until I had heard this song and I can’t tell how pleased I was to learn the Brazillian state is pretty much one enormous and epic national park and the streets of the capital city are lined with mango trees. It’s a picnic state, much like your patch of grass. Open your last bottle, eat the last chip and keep dancing. I got stuck in Brazil for a minute and it was a really nice time, Los Gaiteros de San Jacinto, the original Colombian Folk lords stopped by for four minutes and twenty (three) seconds of Gaita (Indigenous flute) Genius. You’ve drunk just the right amount of Pet Nat now, Fats Domino is here to walk you home. He helps you pick up all the rubbish and find your camera, keys and wallet, thanks Fats. At home he leaves you in the capable hands of Lorna Bennet, she convinces you to make a deal involving making her Breakfast in Bed. You agree of course, and fall asleep to dream about Avocado Toast. 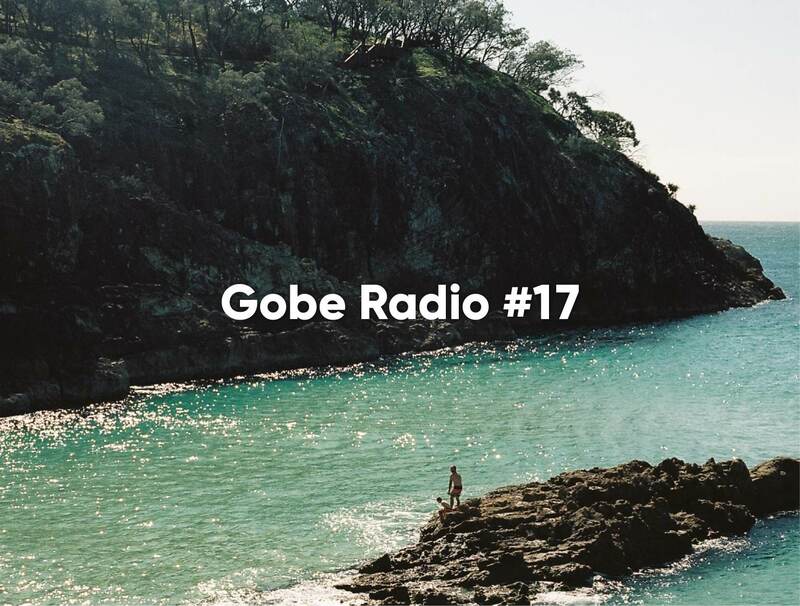 Enjoy Gobe Radio #17 – Curated by us, for you. Listen to previous editions of Gobe Radio over here.